Waterford is committed to evidence-based practice and programs whether it’s testing our own curriculum or contributing to broader early education research and policy efforts. 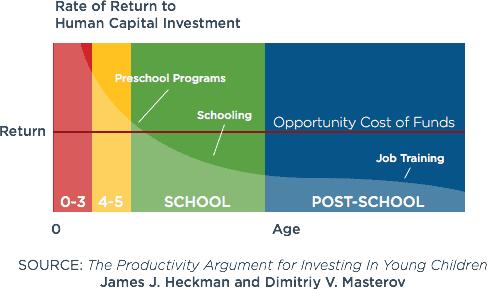 Research shows early childhood interventions for young learners are more effective than those that come later in life. This is why Waterford has been committed to early learning since 1976. Outlined below are several compelling summaries from research studies that were conducted using Waterford’s curriculum. Each demonstrates Waterford’s proven effectiveness for early learners. In 2013, Waterford was awarded a federal i3 grant to fund the validation of UPSTART as a school readiness program for rural children. A randomized controlled study—the gold standard for a research trial—is currently being conducted by ETI, an independent evaluator. Results from the first year are showing substantively important and statistically significant positive effect. 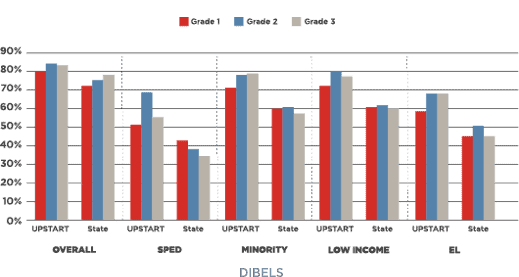 An independent evaluation by the Utah State Office of Education shows children who participated in UPSTART the year before kindergarten saw immediate positive gains and were still outperforming state averages on standardized tests in grades first through fourth. Researchers at Ball State University studied the effects of Waterford on the reading achievement gains of 46 1st graders using the CTBS Terra Nova standardized test. The lowest-performing students benefited the most and dramatically outperformed the low-performing comparison group. By the end of the year, their test scores were equivalent to those of the moderate-performing students in the comparison classes. Waterford was tested on 740 kindergarten students from 15 Title 1 elementary schools in the Tucson Unified School District. The study evaluated the reading achievement of students alongside 15 comparison schools in the same district. The Waterford students consistently outperformed the comparison group on all outcome measures. One of the most notable findings was that ELL students showed greater gains than both the ELL students in the comparison group and the native English-speaking groups. An external evaluation of UPSTART by the Evaluation and Training Institute shows children who participate in UPSTART score two and three times higher academic growth rates than children who are not using UPSTART. 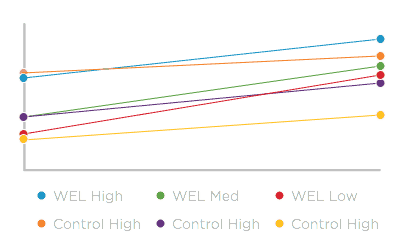 This study compared the pre-literacy gains of Waterford users to a control group over the course of a school year. 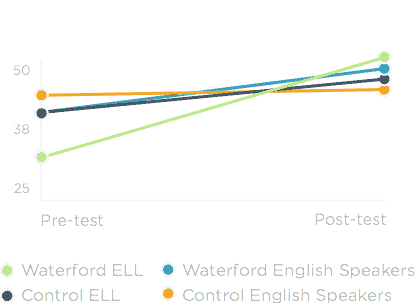 Waterford users significantly outperformed the comparison group in phonemic awareness tests, invented spelling and word reading. The researchers used several standardized tests to compare the two groups. 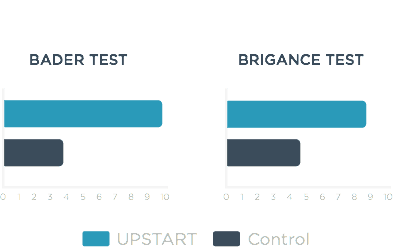 The chart above compares the effect size of these multiple tests. Waterford was implemented in eight school districts and the study evaluated nearly 2,500 Idaho students, using a historical comparison group from the same schools from the previous year that had not been exposed to Waterford. Researchers reported that Waterford produced the highest results with the lowest-performing children who initially were at risk for learning to read well, and demonstrated the use of Waterford is directly correlated with reading gains. Waterford curriculum is co-developed with the expertise of nationally recognized researchers and practitioners.